Join a dynamic team of youth development professionals who are changing lives every day! 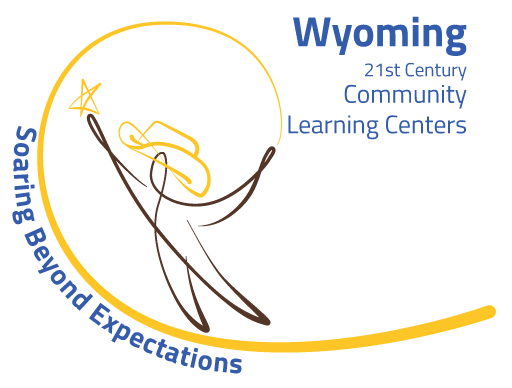 Be part of a committed and dynamic team in making a difference for youth in Wyoming. The Boys & Girls Clubs of Central Wyoming is seeking a Resource Development Coordinator. This full-time position will be responsible for assisting in communication, promotion, and administration of fundraising development with the Club. Duties will include cultivating individual giving, corporate and foundation support, fundraising events, grant proposal development and submission as well as administrative support to include data entry and planning. This position reports directly to the CEO. Send resume and cover letter to: 1701 East K Street, Casper, WY 82601 or email careers@bgccw.org. Be part of a professional team in a positive work environment. Manage financial resources, A/R, collections and management of member accounts including DFS billing. Provide clerical and administrative support for the Glenrock site. Strong communication skills and attention to details. General bookkeeping experience is a plus. Must be proficient in Word and Excel. The Boys & Girls Clubs of Central Wyoming is accepting resumes for a part-time Athletic Program Leader. Do you have a passion for working with youth? The Boys & Girls Clubs teach valuable life skills to young people, including how to live a healthy life, how to be a responsible citizen and the desire to be a lifelong learner. We are looking for an individual to help coach and officiate year round sports programs and athletic leagues. Hours are 3– 9 p.m., Monday – Friday, with some weekends as needed. Apply in person or send resume to 1701 E. K Street, Casper WY 82601, or submit to careers@bgccw.org. The Boys & Girls Clubs of Central Wyoming is accepting resumes for two (2) part-time Bus Drivers with CDL and Class B with passenger endorsement. Hours during the school year are 2:30 – 5 pm. Summer hours average 5-6 hours per day. Competitive wages and signing bonus. Applicants must be able pass a drug test. To apply send resume to Attn. HR: Boys & Girls Clubs of Central Wyoming at 1701 East K St. Casper, WY 82601 or email careers@bgccw.org. The Boys & Girls Clubs of Central Wyoming is accepting resumes for two part-time (possible full time during summer months) Youth Development Professionals. Do you have a passion for working with youth? Are you interested in assisting youth with their homework? The Boys & Girls Clubs teach valuable life skills to young people, including how to live a healthy life, how to be a responsible citizen and the desire to be a lifelong learner. We are looking for individuals who are self-motivated, energetic and creative. We are also looking for individuals who can develop and implement daily programs with enthusiasm. Apply at or send resume to 1701 E. K Street, Casper WY 82601, or submit to careers@bgccw.org. The Boys & Girls Clubs of Central Wyoming is accepting resumes for part-time (possible full time during summer months) Youth Development Professionals. Do you have a passion for working with youth? Are you interested in assisting youth with their homework? The Boys & Girls Clubs teach valuable life skills to young people, including how to live a healthy life, how to be a responsible citizen and the desire to be a lifelong learner. We are looking for individuals who are self-motivated, energetic and creative. We are also looking for individuals who can develop and implement daily programs with enthusiasm.